Oh Anna raced through this one in about 12 hours the day after it was released. She could not wait for this book--even I had the release date memorized for months. Then when we bought it, she was SO into it. Then when I asked her how it was she said, "ok." LOL! I asked her what grade she would give it and I think she said 3 out of 5 stars. I wish I could get her to write a book review for my blog.. but she can't be bothered. One of the things she didn't like was the sadness factor. She does not like sad stories and there must be something sad in there towards the end? Christine, sigh... poor Anna! This book had a darker atmosphere, a lot of introspection and it wasn't as much fun as the other books, plus yes, it ends with Percy and Annabeth going into a dangerous situation. There's no light, fun break in between all the battles and action. So I can see why she was sad. 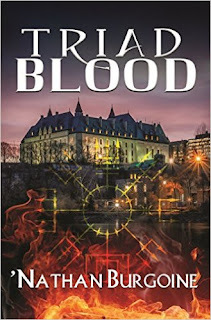 I agree with you on the grade, Hils :) I definitively liked that Mr. Riordan switched to 3rd POV for this sequel series. It would have been impossible to write only from one POV alone. I also prefer 3rd POV than switching 1st POV, because I think it means he has less unique voice to come up with. Now, I need to go write my review... Hopefully, soon! Nath, I absolutely agree with you about the 3rd POV in this case. It would have been a mess if he had used the 1st, it was so busy already! And yes on the prophecies... there is always a way around them, a line that can be interpreted a different way... who knows? Nico might go work on his own again, or as you say they might pick up another demigod on their way. Now, I can't wait to read your review! Soo good! Can't wait until next year. I defiantly did not expect the ending. Can't wait to see the Romans' and Greeks' reaction to it. Zaira, I'm waiting impatiently for the next installment too! Such an amazing book. 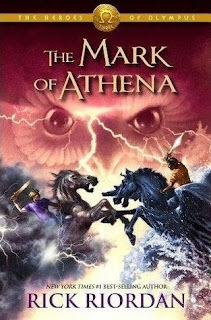 id recommend this book to anyone who love greek and roman mythology but u have to read the lost hero and the son of Neptune first.